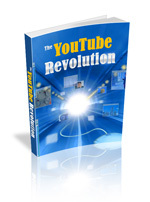 With “The YouTube Revolution,” you will learn all about the power of the social media site, YouTube. This eBook explores, in depth, the YouTube social media platform. You will learn why YouTube is one of the biggest crazes on the World Wide Web. Discover how you can put the popularity of YouTube to work for you so that you can expand your business.